During the early years of my life through my early twenties, I was a sickly little thing. I suffered from glandular fever (mononucleosis), tonsillitis, eczema, asthma… you name it, I probably came down with it at some point in my youth. This meant regular visits to the doctor, after which I’d walk out carrying a prescription for a 10-day course of antibiotics. Back when I was 18 and had just started university, I remember trundling into the doctor’s office at least once a week for two months straight, and each time the doctor would simply prescribe a stronger or longer dose of antibiotics when the previous one didn’t work. Needless to say, by the time I reached adulthood, both my gut microbiome and my immune system were in ruins. I caught colds easier than anyone, I had trouble digesting food and my allergies were through the roof. I now know that all these health problems were caused by antibiotic use. As you probably know, they’re not selective in the way they wipe out bacteria — killing the good guys as well as the bad ones. More antibiotic use sets you up for a gut that resembles a desolate wasteland, home only to the hardiest pathogenic microorganisms and perhaps the occasional tumbleweed for good measure. As a health-conscious reader, you know the damage that antibiotics do and the importance of staying well away from them if at all possible. What’s more, the world as a whole is slowly beginning to realize that we’ve been a bit heavy handed with antibiotics in recent decades, sparking very valid fears that harmful bacteria are now developing resistance to antibiotics and that this could pose both social and economic disaster on a global scale. So why are there still antibiotics in your hamburger? Fast food chains across the U.S. have promised for three years to serve antibiotic-free food in their restaurants amid these global antibiotic fears. However, a study published last year reveals that they’re not delivering on their word. 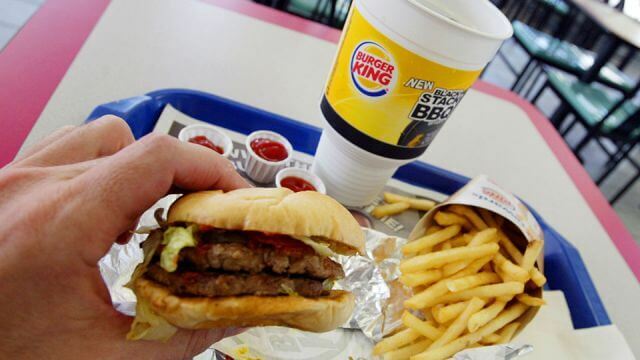 The majority of fast food places use beef from cows given antibiotics. A coalition of sustainability and health-conscious organizations, including Friends of the Earth, Natural Resources Defense Council and Consumers Union and Center for Food Safety, teamed up to examine the state of our most popular fast food chains. The scorecard sees only two companies — Panera Bread and Chipotle — in the A Grade, while all the way down in the F column (the worst one, in case you were wondering) resides most of the popular restaurant chains. These include KFC, Burger King, Domino’s, Denny’s… even Starbucks, who you’d think would be a little bit more conscious in what they serve their customers. The report notes that while some restaurant chains have improved their score from the previous year, it hasn’t been much of an improvement. “This year, twice the number of surveyed companies received a passing grade compared to last year. This largely reflects partial commitments on the part of those moving to transition their chicken supplies away from routine use of antibiotics.” McDonald’s made a commendable move in reporting that 100 percent of its chicken is now raised without antibiotics, however they haven’t made any such commitments for beef and pork. Chick-fil-A, one of the first companies to announce it’s anti-antibiotic good intentions, can still only claim to convert 23 percent of its chicken supply away from antibiotics. 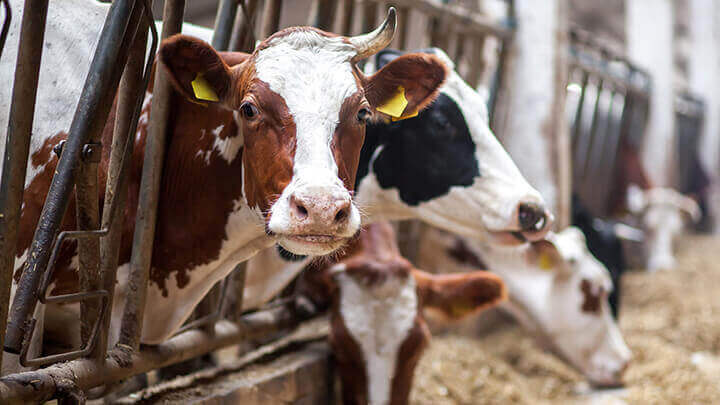 Even worse, companies like KFC and Burger King have made no commitment at all to stop serving antibiotic-laden meat at their restaurants… and that includes the hamburger you’re about to tuck into. So let’s say you’ve knocked back a burger at KFC containing trace amounts of antibiotics. What’s the big deal? Is anything bad really going to happen to you from occasionally consuming such tiny amounts? Well, first there’s the research that shows antibiotic use decreases neurogenesis and cognitive function. Then there are the studies that indicate antibiotic use not only decreases gut microbiological diversity, but also potentially encourages the growth of bacteria that actually eat the lining of your gut. Beyond all that, however, is the issue of antibiotic resistance. Putting small doses of antibiotics into your body — including the trace amounts found in your average hamburger — slowly but surely allows the bacteria in your gut and other areas to adapt to the medications. The result is strains of pathogenic bacteria in your body which are capable of resisting antibiotic doses, greatly elevating your risk the next time you contract an infectious disease or illness. It’s currently estimated that drug-resistant bacteria claim 700,000 lives a year, and this figure only looks to increase over the years. In fact, global health officials warn that the antibiotic-resistant death toll could rise to as much as 10 million lives a year if our flagrant use of antibiotics continues. Make the change now — say ‘no’ to antibiotics! 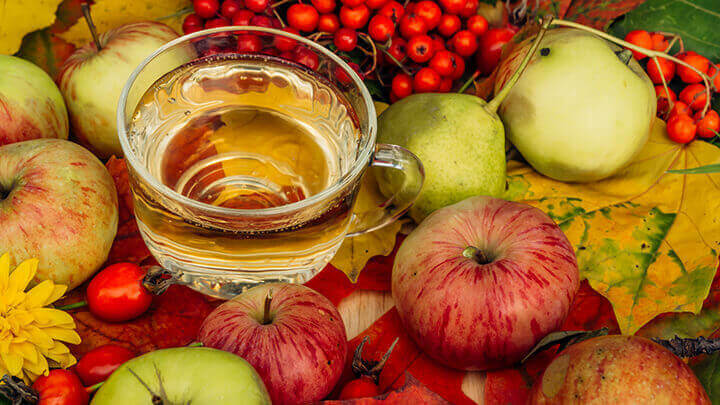 Apple cider vinegar has natural antimicrobial properties to kill off bacteria. So aside from staying well away from those “D Grade” fast food restaurants and only ordering chicken from McDonald’s, what more can you do to avoid antibiotics as much as possible? Well, what the modern medical establishment has forgotten about is the huge array of natural antimicrobial plants and foods we have at our fingertips. Garlic, onions, turmeric, apple cider vinegar, even coconut oil — these are all examples of powerful natural antibiotics that pathogenic bacteria in our bodies aren’t going to develop a resistance to. Myself, I’m also a big fan of essential oils for fighting infections and bacteria-derived illness. Whenever I suffer a scratch, bite or graze, I make a point of dabbing on a little tea tree essential oil diluted in coconut oil. If I think I might be at risk of food poisoning, I’ll mix a drop of lemon essential oil (food grade of course) into a glass of water and knock it back. Science has shown that these natural compounds are at least as effective as prescription antibiotics, and in some case far more effective in treating the problem. Previous articleHow Much Green Tea Should I Drink Daily? Hey Buddy!, I found this information for you: "Your Fast-Food Hamburger Contains Antibiotics. Here’s Why". Here is the website link: https://www.thealternativedaily.com/your-fast-food-hamburger-contains-antibiotics. Thank you.